“Hashtag Everything” « Adafruit Industries – Makers, hackers, artists, designers and engineers! 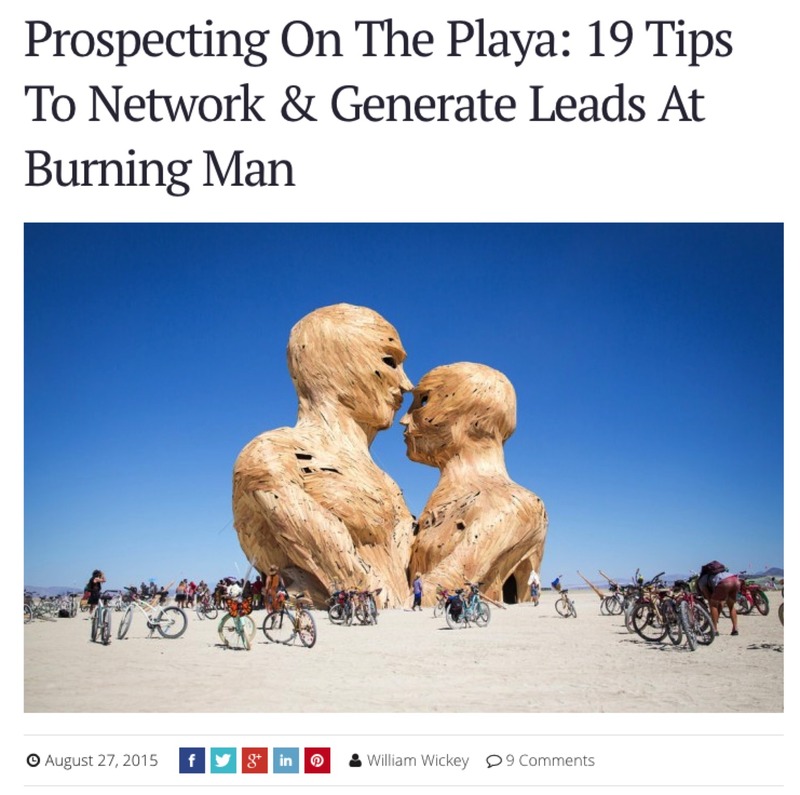 Prospecting On The Playa: Generating Leads At Burning Man. Divert your entire AdWords budget to only target users within 10 miles of 40°45’13.83″N, 119°16’37.20″W. Paid search and display not targeted at the Nevada desert next week is money wasted. Managing Directors traditionally wear butterfly wings, CPOs opt for body paint, and VPs of Sales make their own Mardi Gras beads. CTOs always show the most skin.